Murder by Gaslight: Death in the Family. Family murders are always the most tragic and inexplicable. Whether the motive is greed, jealousy, or pent up animosity the killer is driven to a state of animal rage (or in the case of Lydia Sherman, single-minded determination) that knows no mercy. Here, in chronological order, is a list of murders where two or more family members were killed by the same hand. The Lester Brothers, 1850 – Reuben Dunbar clubbed and strangled his two young stepbrothers out of fear they would inherit property he believed was rightfully his. Lydia Sherman, 1864 – Over the course of seven years, Lydia Sherman poisoned three husbands, five children and two stepchildren. 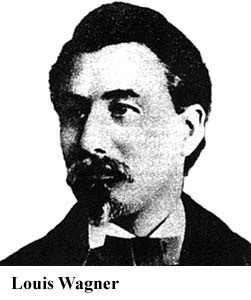 The Deering Family, 1866 – In a plan to rob his employer, Antoine Probst murdered six members of the Deering Family—including four children—with an axe and a hammer. 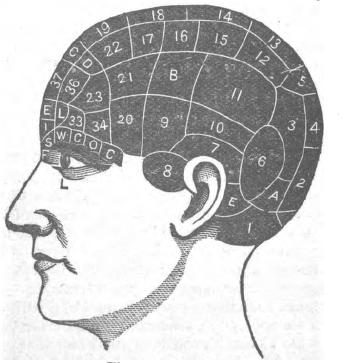 The Christensens, 1873 –There have been several theories concerning the axe murder of Karen Anne Christensen and her sister-in-law, Anethe Matea Chretensen on Smuttynose Island, but the most likely killer was the man executed by the state, Louis Wagner. The Woolfolk Family, 1887 – Thomas Woolfolk was convicted of the axe murder of nine members of his family ranging in age from 18 months to 84 years. 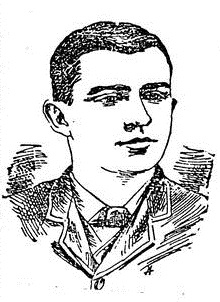 The Bordens, 1892—America’s most famous unsolved crime. 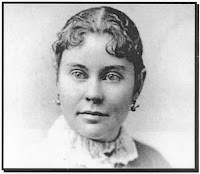 Lizzie Borden was acquitted of the brutal axe murder of her father, Andrew Borden and her stepmother, Abby Borden. The Meeks Family, 1894 – Four members of the Meeks family where shot and beaten to death as they were traveling on the road. 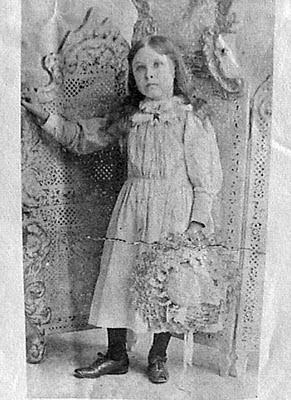 Only six-year-old Nellie Meeks lived to tell the tale. "Louis G. Alberti operated a butcher shop in Galveston. He and his wife Lizzie became parents of eight children. 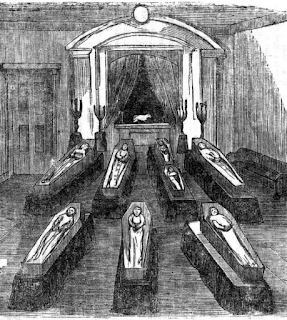 Two children died of natural causes and four more died on the night of December 4, 1894, after being poisoned by their mother. Eight days later, a court declared her insane and committed Mrs. Alberti to an asylum in San Antonio. Four years later, she died of a morphine overdose and is buried alongside her children." Thanks Jim. That sounds something worth researching. I'm going to add the Albertis to my list. On a late Tuesday afternoon, Aug. 17, 1875, Louisa Bissinger of Reading, Berks County, Pennsylvania, took her three children down the Union Canal towpath to lock number 49 East (having told them they were going on a picnic) where she loaded the basket with rocks that she had the children gather along the way. She tied the basket to her waist, held her unsuspecting children to her and plunged into the canal. Her reason for doing so was that her husband had openly courting another woman. Expecting her fourth child and not wanting another woman to raise her children, she decided to kill herself and her offspring. The husband, community prominent Philip Bissinger, was nearly killed by a huge crowd that attended the funeral. Philip Bissinger and his second wife are buried in the row of graves adjacent to the graves of his first wife and children. Five Surprising Facts about Salem Witchcraft.